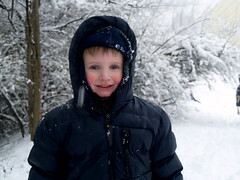 Jen took a bunch of pictures of the boys on Thursday playing in the snow. Enjoy! Next Post Me me me me me! !